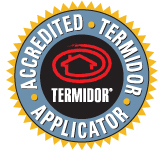 When it comes to protecting your home and protecting our reputation, we always recommend using Termidor for soil treatments. Yes, there are cheaper options, but when it comes to termite protection you can’t take any risks. Termidor has been the market leader for many years, protecting hundreds of thousands of buildings around the world – a superior formulation backed by the manufacturer (BASF). Termidor contains a unique, non-repellent insecticide. Being non-repellent is vital to have a successful termite control product. When you treat an area, you want the termites to walk through the area so that they pick up the insecticide on their body. Termites picking up the insecticide don’t die straight away (which is a good thing!). These termites then contact other termites which haven’t been in the treated area and pass on some insecticide with Termidor’s unique Transfer Effect™, magnifying it’s performance, resulting in unequaled termite control. 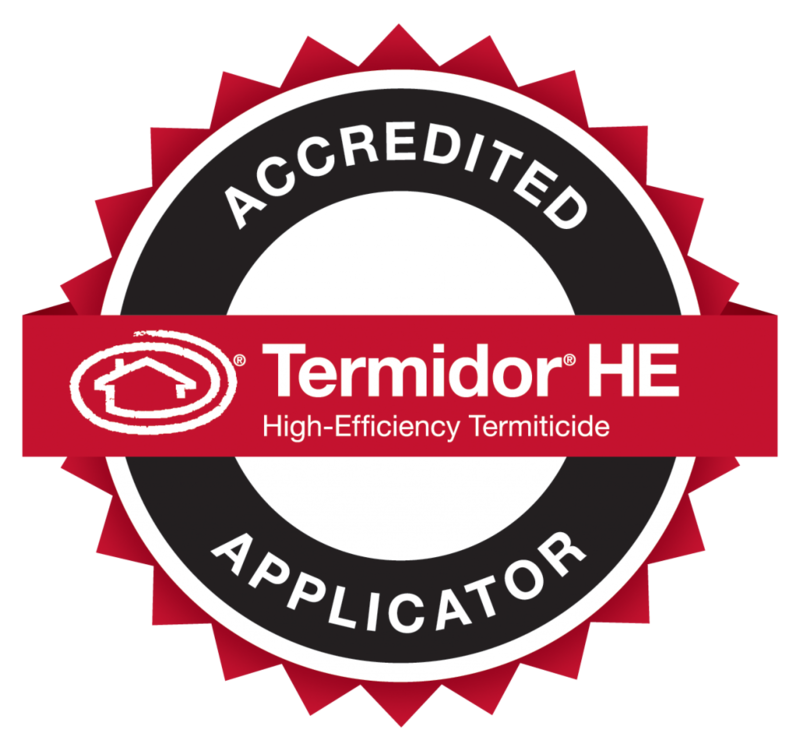 When used as a treatment in the soil, the non-repellent characteristics of Termidor provides significant benefits over the older (and cheaper) termite products. These older products tend to be repellent to termites. Whilst this may sound like a good thing – that they might create a termite “barrier”, in reality it is virtually impossible to create a perfect, continuous barrier around a home. Insecticides don’t always flow evenly in the soil and when products are injected under concrete there is no way to see where the product has gone. When repellent products are used, termites can quite easily find any gaps in the treatment. In contrast, termites cannot detect the presence of a Termidor treatment. Termites are continually contacting the treated zone and dying – they cannot locate any small gaps in the treatment to access your home. Termidor HE is the latest formulation from Termidor. HE is short for “high efficiency” and its unique properties allow for improved spreading in the soil. When you are injecting under concrete you want to make sure that the termite treatment spreads through the soil to make a complete and extensive treated zone, and Termidor HE delivers. This spreading ability gives homeowners another unique benefit. When there is concrete or tiles areas around the home, iti is necessary to drill holes to inject the termite treatment. With Termidor HE as it spreads further than normal termiticides, it means we have to drill less holes and have the option of drilling the holes in grout lines (meaning the fact we have even done a treatment can be hard to spot). Of course as an accredited application, you can also access the $2million Termidor Assurance Warranty for complete peace of mind. How do we use Termidor? Termidor have a range of termite control products; dusts and foams to tackle active termites in buildings and Termidor liquid to treat soil under and around homes to provide lasting protection. To control active termites we will use Termidor dust and Termite foam in many situations, although termite baits can be used in some situations. When soil treatments are required around homes, we obviously recommend Termidor – when you’re protecting your biggest asset, you don’t want to take any risks. (Note: some homes cannot be protected with a soil treatment, due to construction type, soil conditions or slope of the land. In such cases, termite monitoring and baiting systems will be recommended). Termidor is full backed by the manufacturer (BASF). However, we always offer TimberSecure insurance with every complete termite treatment as it provides complete peace of mind. (It’s is also transferable to new owners should you sell the home – giving you that extra value).